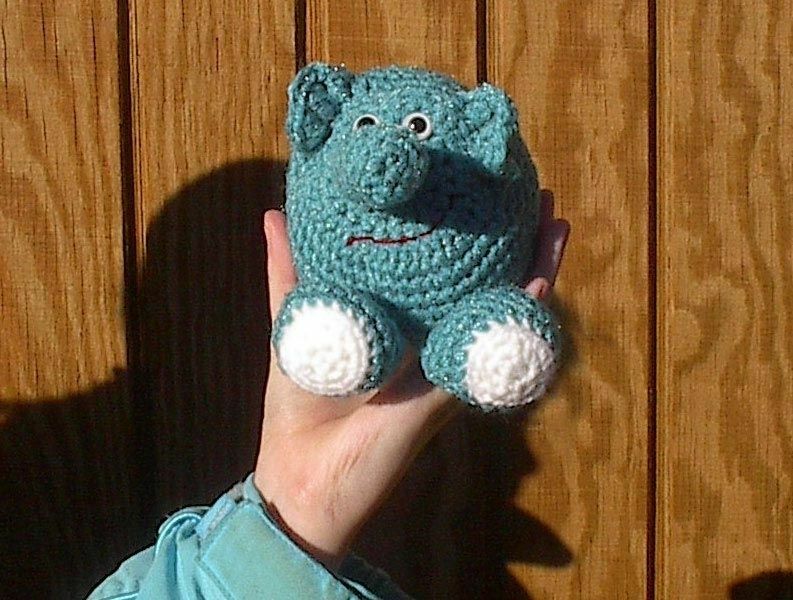 Amigurumi animals are always fun to make and there are lots more patterns to try. 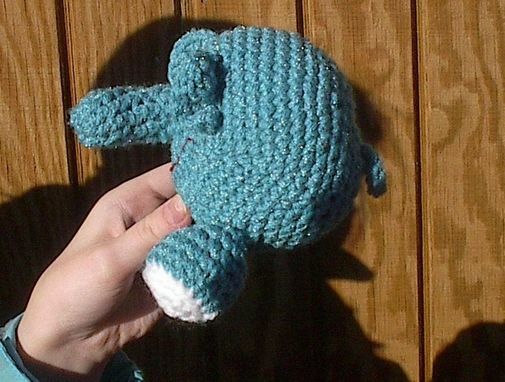 The teal Elephant has safety eyes and is fiberfilled. He is only 4" tall. Fits just right in a child's hand.